The best way to achieve this effect is to experiment, practice, and have fun along the way. Here are a few ideas to try, along with examples of my own shots when I tried each of these myself. Shoot Holiday Lights completely out of focus! 1. Shoot the lights completely out of focus. This one is really simple. Just turn off the “auto-focus” feature on your camera, if you have one, and shoot away at any level of focus that you like. 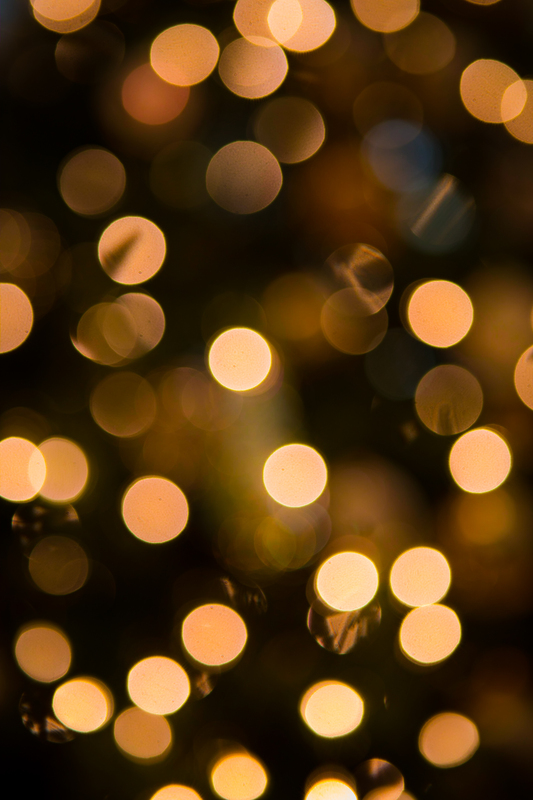 The more out-of-focus the image is, the more pronounced the bokeh effect will be. 2. Using a zoom lens, move the zoom barrel while simultaneously exposing the shutter. Again, the lens is out-of-focus, and the aperture will be fairly small. Try setting your ƒ/number to ƒ/18 and shooting at 1/10 of a second. Then, start moving the zoom ring back and forth. Press the shutter until you get an image you are happy with. 3. Use the blurred lights in the background. This technique can also be used for interesting portrait photography. (See the next example for that.) In order for this to work, you need a shallow depth of field. A shallow depth of field is accomplished using a wide aperture. (That means you’ll use a small ƒ/number like ƒ/4.0 or ƒ/2.8.) Once you have a wide aperture selected, you will then want to focus on an object that is in front of the lights and focus on that. 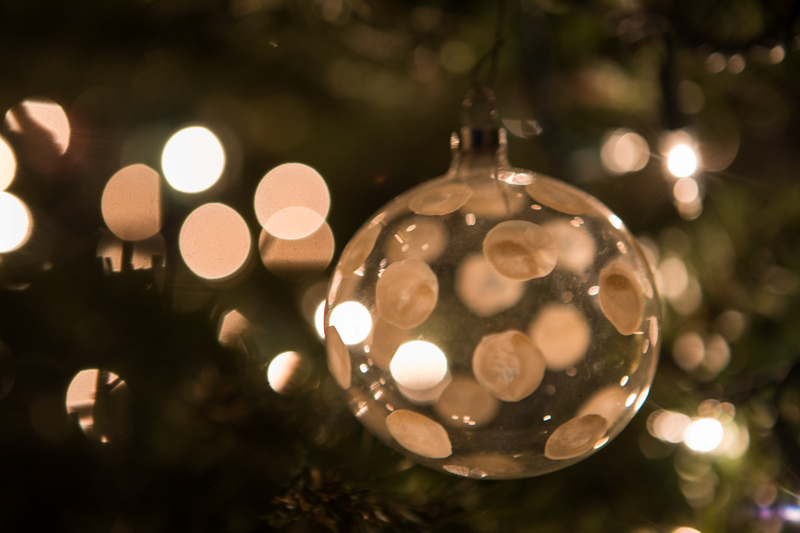 In the image of the ornament on the Christmas tree, I placed my focus on the ornament itself. 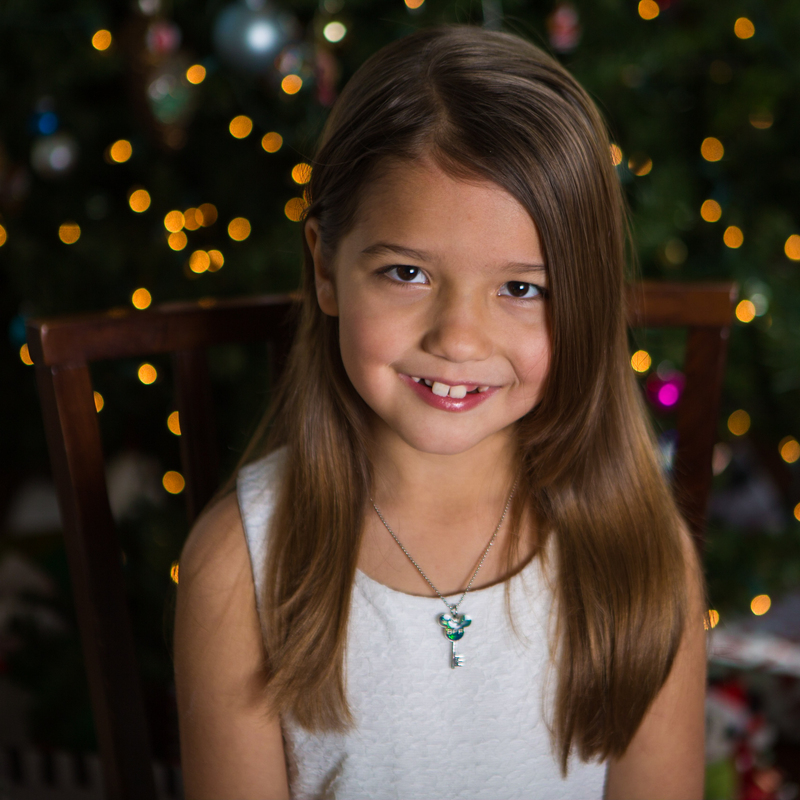 It was positioned in front of the tree’s lights enough that they produce that blurry bokeh look.